Get connected with Wi-Fi functionality for compatible dual card-slot EOS cameras*, enabling image and movie transfer, live view and remote shooting. 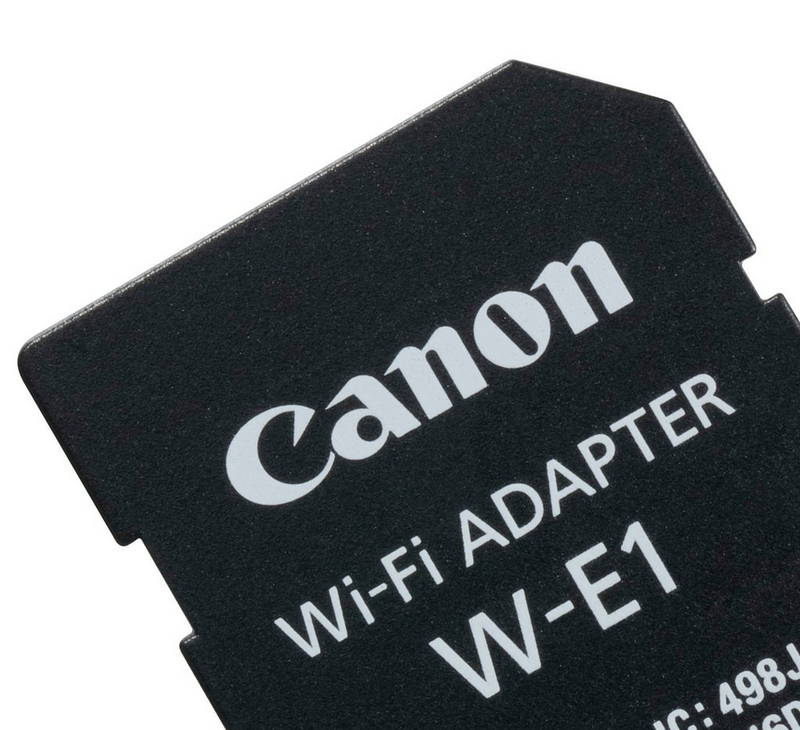 The Wi-Fi Adapter W-E1 allows a compatible dual card-slot EOS camera to join your own Wi-Fi in your home or studio. It also allows direct ad-hoc connections with devices such as smartphones and tablets running Camera Connect, or Mac and PC computers with EOS Utility software, so you can connect wherever you are. Compose images using the screen of your smartphone, tablet or computer. Enjoy a clear view wherever your camera is positioned, and time your shots to coincide with the action. Camera settings can be changed too, and critical sharpness can be checked by zooming in on the image. To set or change the active autofocus point, just tap or click. Share individual pictures by connecting your camera to a compatible iOS/Android smart device running the Canon Camera Connect app, or a PC/Mac running EOS Utility. Once transferred, images can uploaded via the web and reviewed on screen. Or why not make a start on the editing process before you get home? 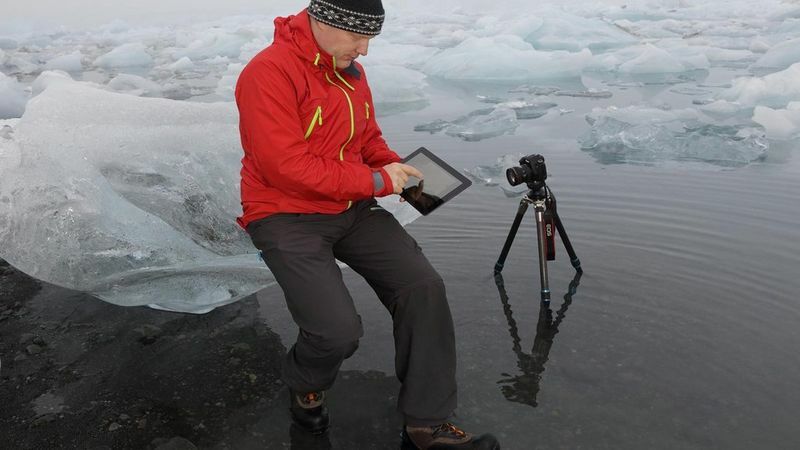 Work wirelessly, capturing images at distance up to 10m from your camera. Great for shooting from unusual vantage points or when photographing subjects that might be frightened by your presence. The Wi-Fi Adapter W-E1 fits into the SD card slot of a compatible dual card-slot EOS camera,* adding Wi-Fi functionality without adding any bulk. Weighing in at just 2g, you won’t realise it’s there – until you come to use it. 50.6 Megapixels and Dual DIGIC 6 processors combine to create a new benchmark in high-resolution imaging. 50.6 Megapixel sister camera to the EOS 5DS. With a low-pass cancellation filter for super sharp detail. * Compatible with EOS 7D Mark II, EOS 5DS and EOS 5DS R with firmware update .Requires EOS Utility running under Apple MacOS or Microsoft Windows or Camera Connect running on Apple iOS or Android.